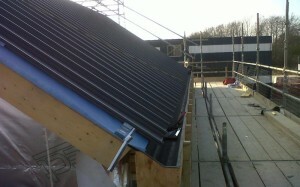 JT Roofing offer a professional repair and maintenance service to all types of panel and cladding roofs. From a small garage repair to a full new installation, no job is to big or small. For the replacement of damaged panels or leaking cladding call us today for a free no obligation quote from our approved installation teams. The range of panels and cladding available today is very comprehensive, with a vast array of colours, styles and patterns. Our experts can help you choose the right style to suit your building requirements and ensure it is installed correctly with a warranty of 20 years. Giving you the confidence that your property is properly protected from the elements for a generation.